FRANKFURT — Volkswagen has suspended its head of quality control, Frank Tuch, in connection with the emissions scandal at the automaker, newspaper reports said. Tuch, 48, is the latest high-ranking VW executive put on leave as the company and external investigators probe how software designed to cheat emissions tests ended up in 11 million VW Group engines worldwide. Tuch was not employed at VW in 2008 when the diesel engine with manipulated software began development but investigators found incriminating correspondence, Germany's Bild newspaper said in a report. Investigators are looking at employees who may have known about the device and failed to report it, the Wall Street Journal reported. Former VW CEO Martin Winterkorn recruited Tuch in 2010 from Lotus Cars to the quality post. Winterkorn had admired Tuch's work in his previous role as Porsche's quality boss when the sports car brand rose to the No. 1 spot in the J.D. Power and Associates U.S. Initial Quality Study. Audi r&d boss Ulrich Hackenberg, VW brand development chief and group powertrain head Heinz-Jakob Neusser, and Porsche chief engineer Wolfgang Hatz -- who previously was VW group powertrain head -- are among other senior executives who have been suspended, according to reports. The Financial Times said other suspended executives include Richard Dorenkamp, former head of VW’s technical development for lowest emission engines, and Falko Rudolph, the former head of development of diesel engines. 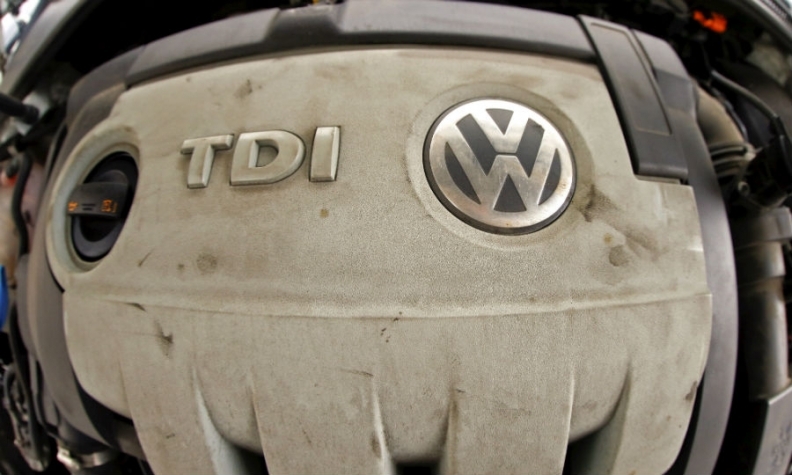 Peter Doerfler, head of group auditing and VW’s anti-corruption officer, is also being replaced although not in direct connection with the scandal, the FT said in a report, citing people close to the investigation. The suspensions are a precautionary measure and investigators have not determined whether any of the suspended managers were involved or aware of wrongdoing, the paper said. VW declined to comment on personnel issues.